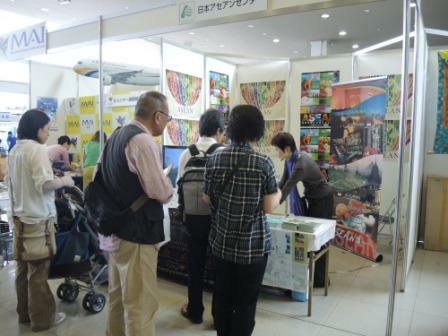 ASEAN-Japan Centre participated in Kanku Tabihaku 2014 in KIX, on the weekend of 24 -25 May. It was 10th anniversary of the event, and about 40,000 persons visited from Kansai area. AJC was one of the speakers at the overseas travel seminar, and introduced attractions of Brunei, titled “Brunei -a treasury of nature-” in front of about 50 attendants. 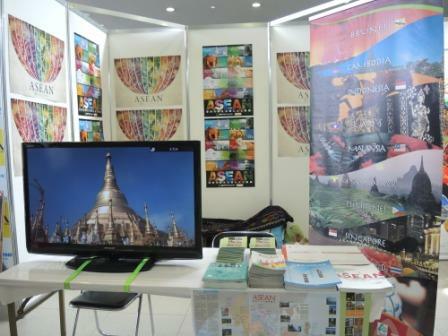 AJC booth distributed tourism brochures of ASEAN, and conducted ASEAN quiz with visitors.